How do we provide access to our servers in a way that only authorized people have access and have it easily and reliably – i.e. when an IP address changes, authorized people don’t need to worry, admin staff don’t need to change anything and the system is still secure? The solution is to use a bastion host as a SSH gateway to the devices we manage. 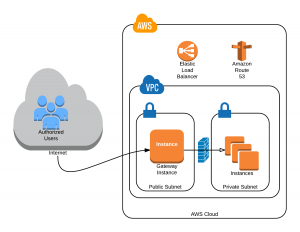 By using a Virtual Private Cloud (VPC) on AWS we can access instances which are not exposed to the Internet on port 22 (Secure Shell) or any other port listening for SSH connections. 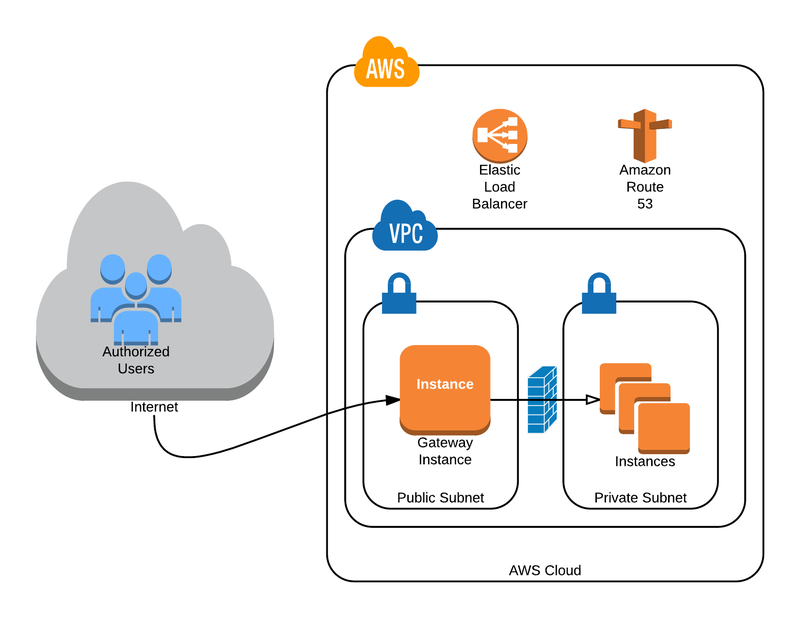 We still have to secure our Gateway Instance, but it becomes a bastion server with the sole purpose of providing SSH access to the other resources. The bastion host is accessible and open to the Internet on port 22. Fail2Ban is running on this device to minimize the potential for DDOS attacks. The Security Group for this Instance allows only port 22 traffic. But in order to connect securely to the other hosts on the private subnet of the VPC we need to still use certificates and we don’t want to store our certificates on the bastion host (from hereon we’ll refer to this gateway device by it’s DNS name: remoteaccess.counselkit.com or simply remoteaccess). If you’re using a Windows workstation, PuTTY has ssh-agent functionality integrated. A good explanation of using PuTTY and OS X with SSH key forwarding is here. In this way we’re able to use SSH keys without compromising our private keys.